The mark L/N (Little Nemo) is a mark signifying "Nemo Gold Seal Quality" belonged to the Brier Manufacturing Company. This company produced high quality brooches, necklaces, bracelets, dress clips, earrings, tiaras, hair clips, etc. and was located in Province, Rhode Island. The Nemo mark was first used in 1913. The Lisner jewelry mark was first used in 1935, a mark of D. Lisner & Co in New York. They used their mark in block print and script and it is the mark of Lisner & Richelieu. The quality of the jewelry they made ranged from very good to above average. They made much of their jewelry in the 1950's and the quality was lacking in the lower end of their carded jewelry. They did make some well designed and above average costume jewelry. The Richelieu line of jewelry would rank with some of the best manufactures. "LISNER" in block was the mark first used in 1935. "Lisner"in script was first used in 1938, and then in 1959 the mark used most was "Lisner", in a block type letter with a long L. These marks may appear on jewelry made by Lisner over a period of 55 plus years and it is not possible to date a item by the mark alone. Molds and findings were kept and stamping dies were rarely disposed of and there fore they were used again and again at later dates. Lisner pieces often have colorful rhinestones (including aurora borealis stones) and molded plastic/lucite stones. Joseph J. Mazer Company was a high-quality costume jewelry company founded in 1927 in New York. Their early pieces are mared Mazer Bros and the later pieces marked MAZER or JOMAZ. The company went out of business in 1970's. MCClelland Barclay Jewelry is extremely rare and among the best costume jewelry made in America. He created jewelry for only six years. His life ending in World War II. Miriam Haskell (1899-1981) was an elegant artist who began selling jewelry when she ran a gift shop in 1924 in the McAlpin Hotel at Herald Square, New York. She moved to West 57th Street where she supervised production of her costume jewelry as designed by Frank Hess, and in 1933 moved again to 392 Fifth Avenue where she remained until the 1960's. Miriam Haskell jewelry has always been noted for the detailing, which directly translated into the time it took to make and thus the cost, and for the asymmetry of many of their designs. In the early years, Haskell jewelry was not marked and production was limited. There are distinct characteristics an expert looks for including the design itself which often incorporates surprises or irregularities. Quality is always evident with finer quality materials and all prong set in the design. Haskell jewelry is known for its use of elaborate filigree and careful wiring, all handmade and accomodating a variety of designs. Haskell filigree was typically electroplated goldtone metal in an antique gold finish. She purchased her beads mostly from France and Venice, Italy, while most crystals came from Bohemia. The advent of World War II forced Haskell to sometimes use alternative materials including for the first time plastics, and she purchased more of her beads and crystals from sources closer to home. In the late 1940s, Miriam Haskell jewelry started to be marked for the first time including an incised "Miriam Haskell" on the hook, "Miriam Haskell" in a crescent shaped cartouche and an oval stamp "Miriam Haskell" on the clasp. The company was sold to Frank Fialkoff in 1990 and is still producing today, making some of the older designs such as the Retro line introduced in the early 90s as well as doing custom work. Monet is a high-quality costume jewelry manufacturer founded by Jay and Michael Chernow and began making jewelry in 1929. The mark Monet was first used in 1937. Monet developed the very comfortable "friction ear clip" for non-pierced earrings and the "barrel clutch" for pierced earrings. This company has been sold many times. Napier-Bliss was a costume jewelry company which began production in the 1910's. It was headed by James H. Napier from 1920 until 1960. The company was bought by Victoria Creations in the 1980's. The firm was founded in New York City in the 1940's by Robert Levy, David Jaffe and Irving Landsman as Fashioncraft jewelry. Irving Landsman left in 1951 and the name of the firm became Robert Originals, Inc. The jewelry was never cheap. In the mid 1940's, a pin and earring set would sell around $50.00. The firm supplied jewelry to the motion picture industry including the 1952 oscar nominated "Elia Kazan movie" Viva Zapata" fearturing Marlon Brando and Jean Peters. Levy retired in 1976 and the firm became Ellen designs until 1984. Sarah Coventry received its name from Charles H. Stuart, the founder of Emmons Home Fashion. Sarah was named after his grand daughter where as Emmons was named after his wife, Caroline Emmons. The mark for "Emmons" was first used in 1948 and Emmons was incorporated in February of 1949, with Sarah Coventry coming into being, November of the same year. They started their business under home fashion shows and maintained the way they did business till 1984, and were sold to a Chicago based firm who produced jewelry for a Canadian company using the same name. Sarah Coventry continued making fine jewelry with precious gemstones under P&B Manufactures. The home shows were discontinued in 1984. The first known marks were "Coventry" used in 1949, for both men's and ladies jewelry. The next known mark was "Sarah Coventry" and in 1950 the mark of "SC" was first used. Then sometime around 1951 the mark of just "Sarah" was used and they continued to incorporate the mark into later jewellery. The Mark "SC" was still in use in 1953 for costume jewelry, and in 1960 the mark of "Sarah Cov" came into existence. The mark of "SAC" has been attributed to Sarah Coventry jewelry but there are no records indicating when it was used but the mark existed in the mid 1950s and was used to the 1960s. This is most likely because the name of of Charles Stuart's grand-daughter was Sarah Ann. Emmons and Sarah Coventry did not design or manufacture their own jewelry but purchased their designs that were manufactured by other producers of costume jewelry around the Providence, Rhode Island area. The Richelieu mark was first used in 1911 and the pieces were made by the Joseph H. Meyer Bros. company in New York. Sherman, a Canadian costume jewelry company, began production in 1947 until 1981. Their pieces are high-quality, expensive and very collectible. They use exquisite colorful stones and the pieces are beautifully designed. The company is founded around 1918 as Trifari and Krussman later in 1920's Carl Fishel joins company and becomes Trifari Krussman and Fishel. In early 1930 Alfred Phillipe becomes head designer after joining the company, and under his leadership the real jewelry look is born. He introduced his famous crown pin in 1941, and the success of the company was almost certain from that time on. It became the second largest company, second only to Coro, but the quality was to belong to Trifari. The crown above the T was to become their trademark. WEISS - Albert Weiss. Weiss is one of the premier designers of top quality costume jewelry, on the par with Eisenberg, Boucher and other great designers of the 40's and 50's. Weiss jewelry was a 1940s company and discontinued business about 1971, they were a much underrated name in the costume jewelry business but some of their jewelry was purchased from Hollywood Jewelry Co and Weiss applied their signature to it. Located in New York, NY. they created a low end line and high end line of costume jewelry and also made some high quality collectible items. Their out put was no where near Trifari and Coro but they did maintain a very good line of jewelry. The first mark used was "WEISS" in block print, later came the mark of "Weiss" in script and "Albert Weiss" or A W Co. with the W looking some what like a crown. The later mark was introduced sometime in 1951 and used by the president of the company, Albert Weiss. D. Vendome was the superior line of jewelry. The mark was used as early as 1944 on charm bracelets and faux pearl jewelry. The Vendome line which began in the 1950's did not become popular until the early 1960's largely due to beautiful designs introduced by Helen Marion, Vendome's principal designer. 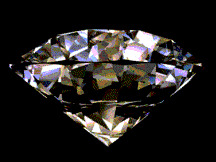 Vendome replaced Corocraft which up to that time marked the higher quality jewelry made by Coro. Vendome jewelry used the best of imported rhinestones and faceted crystal beads. The clarity and brilliance of the stones and top quality metal work combined in artistically expressive designs were the main factors behind Vendome's success. Vendome jewelry is highly collectible and should continue to rise in prices. © 2010 Annie Sherman Vintage Jewelry. All information and pictures contained in this web site are protected by international copyright laws. All rights reserved.